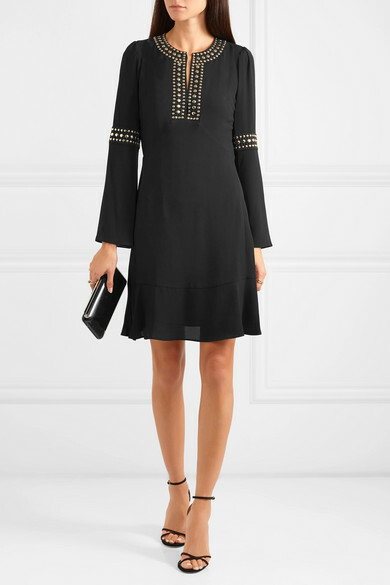 Michael Kors' muses are all so different, but each have a unique sense of style - from Courtney Love to Solange Knowles, from Sabrina to Zendaya, to Margot Tenenbaum and Jackie Kennedy. 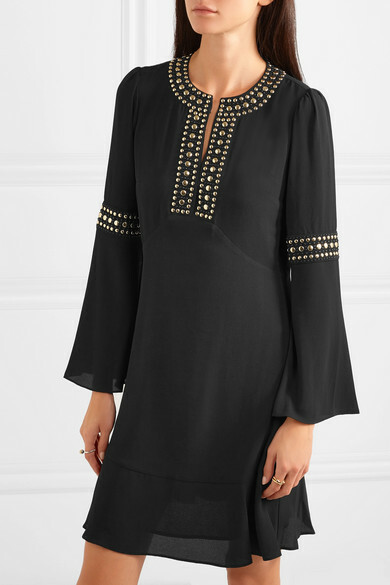 This shift dress is cut from black crepe with bell sleeves and a fluted hem. 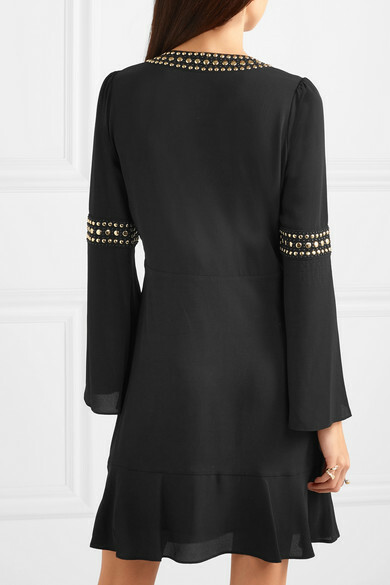 It's embellished with studs at the elbow and split neckline. Shown here with: Jimmy Choo Clutch, Aquazzura Sandals, Bottega Veneta Ring, Paola Vilas Ring, Jennifer Fisher Ring.